There’s a great deal of activity in the fields of speech recognition and the “Internet of Things,” but one natural application of the two has gone relatively unpursued: helping the deaf and hard of hearing take part in everyday conversations. 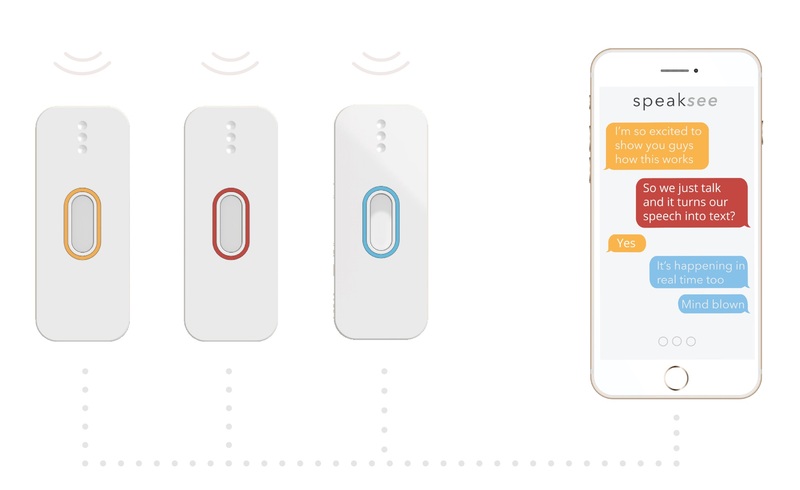 SpeakSee aims to do this (after crowdfunding, naturally) with a clever hardware design that minimizes setup friction and lets everyone communicate naturally. It’s meant to be used in situations where someone hard of hearing needs to talk with a handful of others — a meeting, a chat at dinner, asking directions and so on. There are speech-to-text apps out there that can transcribe what someone is saying, but they’re not really suited to the purpose. 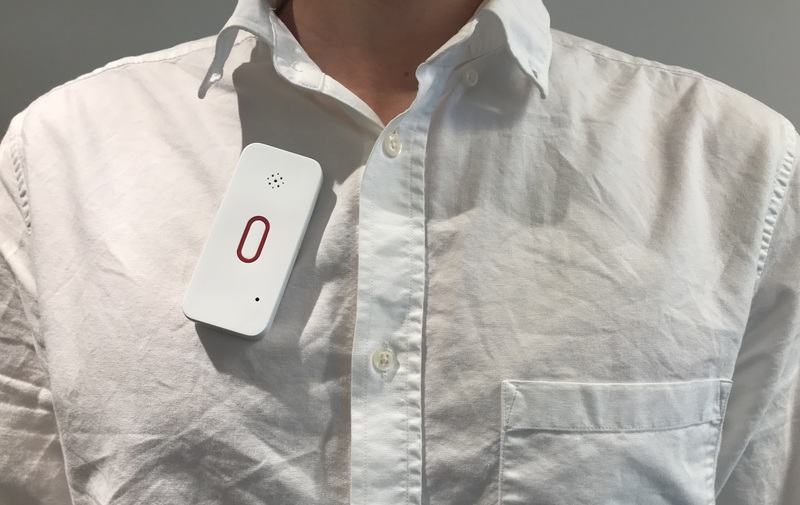 SpeakSee is simple to use: A set of clip-on microphones live in a little charger case, and when the user wants to have a conversation, they hand those microphones out to whoever will be talking. The case acts as a wireless hub for the mics and relays the audio to the smartphone with which it’s paired. This audio is sent off, transcribed quickly somewhere in the cloud, and displayed on the deaf user’s phone. Critically, though, each microphone also intelligently and locally accounts for its speaker and background noise. Hazelebach’s parents are deaf, and he grew up seeing how their ability to interact in ordinary circumstances was being limited. The mics aren’t exactly small… but that’s how you know they’re real working hardware and not imaginary. Right now English speech recognition is considerably ahead of Dutch and other languages, so the transcriptions will be better for the former, but even so the devices should work with any of 120 languages supported by the cloud service. Transcription is free for up to 5 hours of audio monthly, after which it’s a $10/month subscription. But if it works, it may be more than worth the money. The team has a finished prototype but is seeking crowdfunding to get production off the ground. “We need to improve the electronics to meet specifications, battery life for example. We expect to ship in February of 2019,” Hazelebach said. Pre-orders are set at $350 for a dock and three mics. The usual caveats (primarily “emptor”) apply when backing an Indiegogo type campaign — but at the very least, having spoken to the creator, I feel pretty sure this is a real, working product that just needs a boost to get to market.